Initially, I wanted to book myself on a flight back to Singapore via JHB but then I thought it would be very troublesome to get home from there, so I decided to book myself on KUL-SIN sector. I was looking at Malaysia Airlines's Boeing 737-800 as I wanted to have at least one of the sectors (KUL-JHB or this) with a BSI 738, but when I had a quick look at SQ's airfare for this sector, for a price of S$130 which is more than MH's, I decided to go ahead and book it. I wanted to fly on SQ's A330 for a quite a while, I thought now it was the time to do so. This decision proved to be a bad one in the end. Read on to find out why! After my booking was done on SQ's problematic website, I chose my seat, 51A then later on when more seats were available, i chose 62A, the last row of the aircraft. At that time, there wasn't much of a choice as the airline blocked most of the seats. I tried the mobile version to check in but somehow it gave me a error message when I did so, so I had to use the website browser to do so. Luckily for me no other issues occurred. On the day itself, I flew to KUL from Penang with Malindo Air. Trip report on that coming up soon! I reached the airport around 1030am, as my flight SQ119 was at 8.30pm, I had plenty of time to spare. I could have changed my flight to an earlier one but I choose to stay a bit longer at KUL to relax. Time passed quickly and at 5pm, I decided to check-in early. The ground staff was still handling the SQ117 passengers, but they allowed me to check in early which meant that I could go in the air side. SQ's boarding pass is still very nice. My flight info was already on the screen. At that time, I was quite excited about my upcoming flight. Thinking to myself, what a way to end my trip! Never did I expect that this flight would end up to be one of the worst flights for this year. 9V-STT was taking me home. This aircraft is the first of the 2nd batch of A330s delivered to the airline. I was excited to be flying on this airframe. I wished the star alliance livery was painted on one of the A330s, a chance to fly on a star alliance aircraft. My last ride of the day, the A330 is a beauty that I admire for many years. I was delighted the day when SQ announced the lease order of the A330-300, I never thought that would happen. Glad that the airline has waited as this batch of A330s is more efficient than the old ones. As some of you know that 9V-STT registration was previously on the airline's Airbus A310. The flight route for today's flight! The below comments are based on my flight experience. I am not criticizing anyone in particular, its just how I feel. 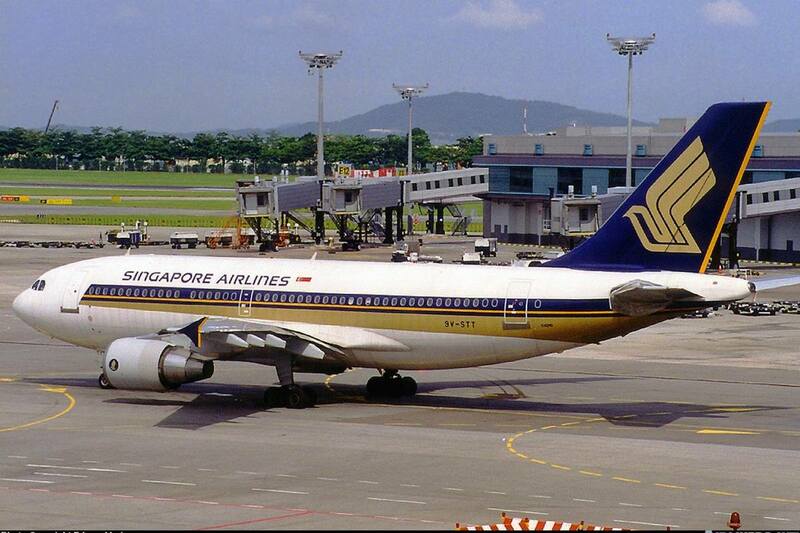 I have very high expectations of Singapore Airlines, expected this to be another routine flight but I was wrong. When I first stepped on board, the impression was a mix. But it went worse after take off. While I was walking through the cabin, a few of the crew along the same aisle as mine were looking elsewhere and it seemed that I was invisible. I had a quick glance at them before moving on, pretty sure they knew I was looking. Never mind, when I got into my seat, I had a brief chat with this lady. I thought she was friendly I told her that finally I was flying on SQ's A330 and I just needed to complete all the types by flying the 773. From her response, she didn't seem to like flying the A330 but she was pretty cool and asked me whether I had flown on the A380 before, and my replied was yeah and I flew on SKA, SKF and SKJ, she was impressed but after that it went downhill. I have no idea whether she found me a nutcase or what, but she did gave me another smile and that was it. I was ignored for the rest of the flight! I heard comments about SQ's service going downhill such as SQ crew favouring the Caucasians ahead of Asian passengers, robotic services...etc I can't disagree with them after seeing how the crew treated me. I felt like a criminal especially after the flight! I never felt so discriminated by my home airline. Not even the low cost carriers' crew have treated me this way. The way some of the SQ girls walked passed me like a regular passenger and mind you I had to give way to them! It makes me feel, what is going on? Am I really on SQ? Is it because I am Asian or a non-PPS flyer and you can treat me this way? All these came into my mind while I was walking down the aisle. My initial plan was to talk to a the in-flight crew for a while and also ask permission to take some photos of the business class, but that was definitely out of my mind. Instead I headed down to the door, told the crew (they were nice though) what happened to the smiles? I couldn't say anything else because I was in a state of shock! I left the aircraft feeling disappointed and furious at the same time. This may be just a short 40 minutes flight, but I never seen such arrogant crew (only the ones working at the rear) on board my SQ flights so far. The economy class seats, they are the same as the A380. Some of the stuff found on the back of every seat except emergency rows. SQ's IFE is pretty descent. Foldable tray, with a mirror on it. I find this to be very useful. Leg rest. Normally I don't use it. You can find this under the row of seats, I think there is only one in every row if I remember correctly. Seating at 62A gives me an eagle eye view on the activities on board. The flight may be a short one and passenger's load possibly 80%, but still this doesn't give the crew the right to sulk anyway. Take it as a challenge and do your job with pride! You are working for SQ, one of the most prestigious airline in the world. Equality, patience and tolerance are needed as part of a cabin crew's job. I am aware that the duration is short, drink service must be done fast. I did the calculation on board, the crew actually had some ample time (including descending) left, it wasn't too bad. The smooth flight helped the crew too. I mean the rest of the passengers won't care, but for me I am very particular with the service. The crew had a long day, so did some of us. A bit of smile would definitely not kill! On my Malindo flight from KUL-PEN-KUL sectors (Just 50 minutes of flying), we were served not only drink, a small cake was distributed too. I am sure SQ can be as generous by providing a light snack as well. Just the orange juice, no light snack. Drink service came - this male steward pushed his trolley a few rows in front of my seat. From the few rows in front, he asked me what I wanted so I told him tomato juice, but I had difficulty understanding what he was saying (blah blah blah, hardly audible) but I guess he was trying to say there wasn't any, so I chose the orange juice Then zoom off he went! I leave this to you guys to decide what kind of service is this. The aircraft arrived slightly late and even though it was a short 40 minutes flight, I felt it was slightly longer. I didn't enjoy the flight at all but at least I could now click the SQ A330 off my 'must-do' list for my flight log book. The aircraft taxied to gate B8 where it would be rest for a short while before its next flight to Adelaide. The In-flight service and IFE system combine together to give travellers a memorable experience. As this was a short flight, I didn't use the IFE and what I did was to just observe the service. From my position, I could see how the crew was handling this short flight and in the end, I was extremely disappointed with some of the crew's attitude. 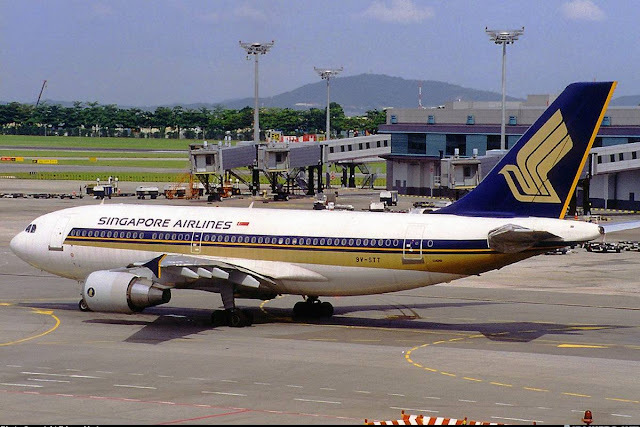 For whatever reason they had, I don't care but if they are not interested to represent Singapore Airlines, they might as well look for another job. I may not have any status with the airline or a somebody, that doesn't me I should be treated this way. My experience left me with a very bad taste and I am definitely in no hurry to fly with this airline any time soon. Thanks for doing a report which is rarely done for this extremely short sector but it is a 30 minute flight. If you don't count the time you are belted up for take off and landing. What can you expect on such a short flight? 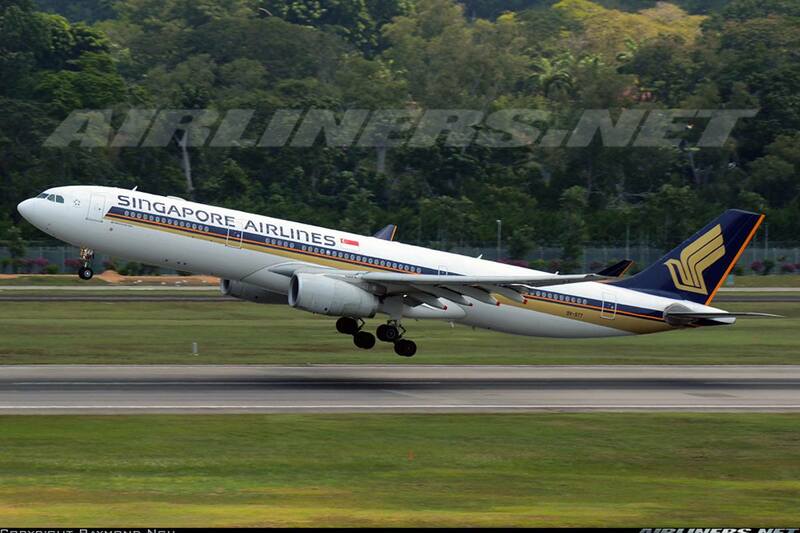 And SQ is using a widebody A330.. this might be the shortest route with a widebody anywhere in the world. The crew has just about enough time to hand out a drink and collect it back the other way. They're not going to have any time to talk to you. I wouldn't recommend paying for this route on SQ or MH.. and most of the people who take it aren't. It's usually "free" when you're connecting e.g. if you're based in KUL and take SQ to say MEL, this sector is added often at no cost from what I've seen. I expect some professionalism and manners from the crew. I have flown on similar short flights on wide-bodies before and those crew had to work their socks off, yet they were able to smile and interact a bit. I don't expect them to converse me but at least, end the conversation with something like that, "Sorry, I need to distribute the drinks to the rest, if I have time, perhaps I can catch up with you later?" instead of walking off without a word. Would love to know about more posts regarding to airline travelling. I was planning for the tour to Abu dhabi.